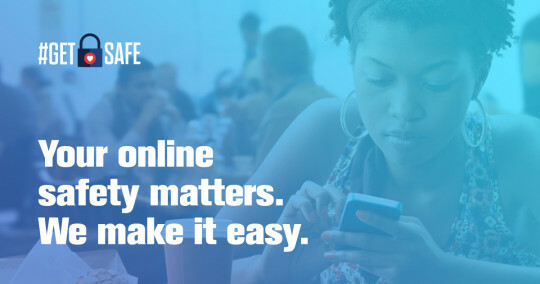 Digital rights group Fight for the Future has launched a new online resource called #GetSafe, a simple guide that helps average Internet users take the most important steps toward protecting the personal information stored on their phones, tablets, and computers. The release of the new tool comes on the heels of Congress voting to slash Internet privacy rules and allow Internet Service Providers to collect and sell their customer’s information. The tool functions like an online quiz, asking the user a series of simple questions about their digital security habits, and making basic recommendations about how to set a strong password for your phone and computer, how to switch to free encrypted text messaging services, and how to run a Virtual Private Network (VPN) to make it much harder for your Internet service provider to spy on your web browsing activity. The launch of the #GetSafe tool comes as Fight for the Future is already making headlines about plans to unleash billboards listing the names of lawmakers who voted to strike down the FCC’s Internet privacy rules. The group has also launched an online petition calling for President Trump to veto the measure.